We live on a Christian campus where there are a lot of Johns, Calebs, Rachels, and Ruths walking around. Each of these names has significance when it comes to faith and scripture, but a name is much more personal than that. A name is a reflection of who someone is, and where they come from–a name is what gives a person their identity. Names are a reflection of culture, religion, gender, and even personality. Bryanna Pye, a freshman theatre and public relations double major, explains the story behind why her parents chose the name that they did for her, and how it has shaped how she’s viewed her life circumstances. “Bryanna means strength, and so they gave me that name hoping that I would rely on God’s strength throughout life and whatever comes my way. I can definitely say that that’s been the case on many occasions, and I’m really thankful for that,” Pye says. Travis Porterfield, a sophomore digital media major, shares how his name made him feel connected with other Travis’s that he knew of, and how that connection helped shape his personality. “When I was younger, I didn’t really know a lot of Travis’s. The first other Travis that I heard of was Travis Pastrana. He’s a stunt guy. He did motocross and stuff, and I remember watching him on TV and being so amazed with it. Now I’m kind of an action and sports type of person, and I always wondered if that affected me–seeing Travis, and wanting to be like him,” Porterfield says. Decades of studies have been done on how names can possibly affect where people choose to live, work, marry, and spend their money and time. This correlation between names and behavior is possibly connected to the implicit-egotism effect which says that we are attracted to things that remind us of ourselves. 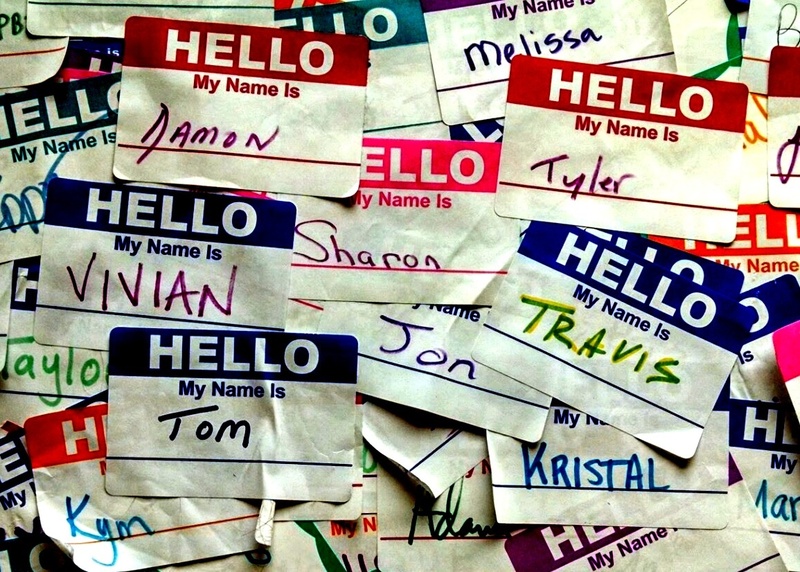 Other research suggests that there is little to no correlation between names and behavior, even though the unconscious mind tends to make subtle connections that can possibly influence the way someone thinks. But whether or not a name directly affects a person’s life decisions, a name remains a vital part of a person’s identity. Micah Crandall, a sophomore musical theatre major, recalls his parents telling him about why they chose his name to be Micah rather than Peter, which was their second choice. “When I was born, they looked at me, and they just could not name me Peter. They were like, no, this has to be Micah,” said Crandall. Rachel Rochet, a first-year musical theater major received her name through a vision that her father had of her before she was born. “He said, ‘I had a vision that God is going to give us a little girl, and her name is Rachel,’ ” Deborah Rochet, Rachel’s mother, says. Many people are destined for their name. In the Bible, there is not a single name out of place, or without significant meaning. A person’s name goes beyond a signature on a page–it is a person’s signature on the world–a way for them to leave their unique mark on the world with the letters of their name, and the story behind it.